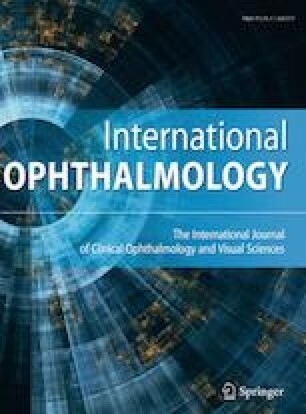 To demonstrate the presence of emulsified silicone oil (SO) droplets in the canal of Schlemm with anterior segment optical coherence tomography (AS-OCT). AS-OCT images from an eye that had undergone retinal detachment (RD) surgery three years ago were reviewed. At the time of surgery, SO had been used as the tamponading agent. The AS-OCT images demonstrated that minute emulsified SO droplets were present in the canal of Schlemm. Retention of SO in the eye for an extended period of time after RD surgery leads to secondary glaucoma. Presence of minute emulsified SO droplets in the canal of Schlemm may contribute to this process. The study was done in accordance with the ethical standards of the institution and followed the 1964 Declaration of Helsinki and its later amendments. Informed consent: Informed consent was obtained from the patient.